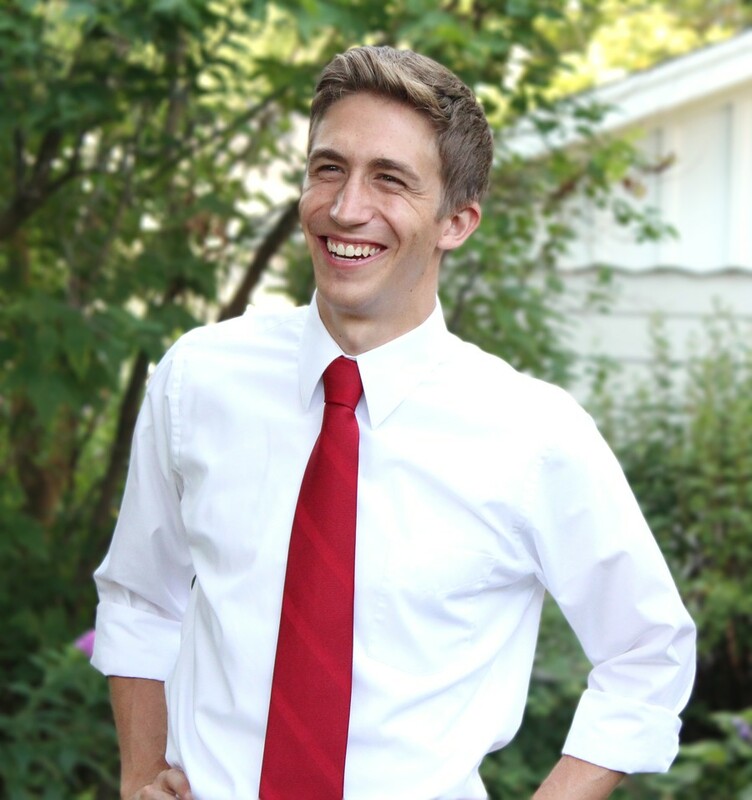 In 2012, Representative Daniel Riemer (D-WI, A.B. ’09) ran in a primary against a 30-year incumbent and won a landslide victory. He is now running for reelection. Riemer, who represents parts of suburban Milwaukee, sat down with The Maroon to talk about his days as a student during Barack Obama’s rise, his experiences as a young state representative, and the role of the Core in modern-day politics. Chicago Maroon: How did you decide that politics or elected office was something that you wanted to pursue, and how did the University of Chicago shape your ambitions or political views? Daniel Riemer: I took the classes that pretty much everyone else takes. You know, Self, Culture, and Society, the rest of the Core. I think a lot of what I started to get interested in when I was in college was what makes society function the way it does. How does law play a part in what makes a cohesive society or a society unable to stay together? A lot of those questions are ones that Chicago kids have to deal with as a part of the Core curriculum. You start with Plato and you go through Hobbes and Locke and Mill. Even scholars like Milton Friedman, who obviously is an important Chicago-based thinker. And that’s why I pursued law and law school, but what I discovered very quickly was that the big issues about how to shape a society and a political community so that the problems we’re facing in the 21st century can be solved, requires some active role in government. To really get my hands on being able to shape what government should do and shouldn’t do in response to the big problems, I had to get involved in government through political campaigns, which brought me to politics. CM: Are there any aspects of your political platform or goals that come directly from things you learned in Chicago, in Sosc class, for example? DR: It’s tough to draw a direct connection between reading Durkheim and 21st-century American politics. I think what I did develop through Chicago was thinking [about] some of the big problems that need to be addressed…. So, for instance, before I got into UChicago, before I had any idea that politics would be something that I’d pursue, I come from the city of Milwaukee and it’s a city with a great deal of poverty. And it’s a city where people were often employed in the factories/manufacturing sector and saw a lot of the work that had traditionally grounded the community and the middle class disappear…. A lot of that would be something I addressed anyway. What Chicago did was give me a careful way to look at what the evidence says about how we can solve things like that. Sociological Methods is a class that I took at Chicago; I was a sociology major. You design experiments, look at evidence and data, and think about questions like: What solves poverty? It is disappointing to some extent in politics about how little that factors into discussion on how to solve problems. Chicago trains its students to have those conversations and to pursue that inquiry in an effective way. It’s hard to say [it comes from] either Hobbes or Plato, but they created a framework for us to think about government in the modern state and Western society. But so much of their world is removed from our world in respect to particular issues, but it helps to have that background and have that understanding in a political world. CM: So would you say that having taken the Core, and having read so much philosophy, you can think more clearly about issues that we’re facing today? DR: I think it gives you some humility. It helps to avoid an arrogance to believe that the problems of your time and your place are entirely unique or that you alone have an answer because you read something in an article or magazine or even a well-researched book. It reminds you of the broad thinking surrounding these problems, which is humbling and encouraging in that you belong to a tradition of people who have been thinking about politics. CM: What was it like to be living in Hyde Park when Barack Obama was campaigning for the presidency? Was it exciting? DR: It was very exciting. There were always…spottings, and he really went from a celebrity to a superstar. And I don’t say this as a criticism. I admire him greatly; his candidacy during that period did a lot to shape my thinking on the possibility of running for office at all, but he was a well-known U.S. Senator and within a few years his street over by Hyde Park Boulevard was covered in Secret Service as I imagine it is currently. But at the time I was, at least in the first couple of years, it was still a normal street and you’d say, “Yeah that’s where Obama lives, right across from the synagogue over on 51st…. There was a certain electricity in the air during that time period which made it special, not just for me but for a lot of people because he was really a Hyde Parker through and through. We were all, at least for a time, Hyde Parkers as well. CM: What is it like being state representative for the city of Milwaukee and some of its surrounding suburbs, and are there any challenges that go along with holding office at such a young age? DR: I come from an area which is frequently represented by people in their 20s. My predecessor was in her 20s when she first ran, actually younger than me; one of the representatives before that was 20 to 21 years old…. A lot of young people have successfully run for office and gone on to really shape American politics in a significant way and that’s as true in Wisconsin as it [is] anywhere. I often cite this list of people when I try to encourage other young people to get involved and to run for office, because it really should not be a handicap or a barrier in any real way. There will be a few people that maybe discount you, but there will be many others who will be attracted by youth and the energy that you can symbolize. So in many ways [it’s] not as difficult as one might think. CM: Your opponent in 2012, Peggy Krusick, was someone who had held that state representative position for almost 30 years. Why do you think the people chose you, after decades of voting for her? DR: Well, I worked incredibly hard. I worked so, so much harder than anyone in the state of Wisconsin was working who was running for state legislature in 2012. I mean, I’ve asked around, and I really did put in more time working harder and working smarter, talking directly to the voters in this election. And that is a big reason why. The pitch I made was focused not on being heavily critical of my opponent; in fact I didn’t mention her very often. I wanted to talk primarily, almost explicitly about what I planned to do. But the big thing to focus on was to address the issues that had not been addressed by a generation of political leadership. In this case it was a fellow Democrat who had been part of a group that had not effectively addressed the problems of a shrinking middle class, of job insecurity, of access to affordable health care for the people of the state of Wisconsin, of coming up with creative and effective solutions to educating kids, especially kids from lower-income communities. And most of what I talked about then and continue to talk about now focuses in those topic areas, but the pitch was not one that was negative or critical of my opponent, but simply one that focused on new ways of doing things and new ways of looking at problems and trying to work collaboratively on trying to come up [with] solutions that kind of permeated the feeling behind my candidacy. And just working incredibly hard. I mean, I’m a skinny guy, but I must have lost 10 or 15 pounds going door to door. About eight hours a day, seven days a week, sometimes more. It takes a physical toll. It was one of the hottest summers in the last two decades, as well. I remember three days in a row that were over 100 degrees, and I just kept working because it was an election I had to win. That, I think, is a combination of the promise of new ideas and a new approach to leadership in the legislature, along with an incredible amount of hard work. CM: As state representative, have you made any headway on the issues you focused on during the campaign? DR: It’s been difficult so far; both houses of the legislature are currently held by Republican majorities and the governor is also a Republican, who is not a moderate Republican, and neither are the majorities in the legislature. I think to some extent I’ve been able to push the discussion of fairer tax policy, to some extent I’ve been able to work with Republicans on bills that promote transitional jobs programs, which are similar kinds of things that Franklin Roosevelt and his team put into place during the Great Depression as part of the New Deal to get people working again for wages on public works projects and other projects as well. That’s something that has had support from Republicans and Democrats. But a lot of the things that had Republican and Democratic support that had been built up around consensus and collaboration have not made as much progress as I would like…. Within the constraints of partisan politics I’ve made some progress but there’s still a great deal more to do. CM: Do you think there is any way to bridge the gap in Wisconsin between Republicans and Democrats? DR: Yes, I do. I think the average voter is not as partisan as the media would have you believe. The average voter is capable of compromising and collaborating. It’s something that people do all the time. People work with other people that they disagree with; people live within their family with people that they disagree with and find a way to make things work. Politics is probably the only profession where you don’t have to cooperate with other people to get things done. You’re allowed, unfortunately, to be ineffective and to maintain the status quo in the face of dilemmas and often crises. But I think the average voter is more interested in watching problems get solved by, in some cases a little more government, in some cases a little less government…. Liberals tend to demand more government programs that address the symptoms of poverty and try to help subsidize housing and legal services and any other of things that poor people have a hard time affording. It helps focusing most clearly on what leads to poverty, which is joblessness or underemployment or wages [that] are too low. Conservatives tend to say, “Well, if we got rid of welfare, then people will have to look for work,” and what they tend to fail to recognize is that even during good times, there is a gap between people looking for work and the amount of jobs available. There are few times in American history when the economy was [as] good [as] during the Second World War—parts of the ’60s, during the ’90s, where everyone looking for work could find a job. But for the most part, not just during recessions but especially during recessions, people looking for work cannot find jobs. I think [the transitional jobs program] bridges the gap. Instead of looking at the symptoms of poverty we’re going to look at the root cause, which is [that] people don’t have jobs. We’re going to acknowledge that the market alone does not cause full employment. And that speaks not just in the middle but something inherent in something [that] both liberals and conservatives want. Liberals want to help poor people and conservatives want to make sure work is the way that people get to the middle class. That’s the kind of policy that helps fulfill those two philosophies, and certainly has had the support of both parties in the past. And it’s effective. It works. I remain optimistic in spite of how polarized [politics is]…. There will be opportunities to bridge the gap between the two…parties because in a number of ways they are not so philosophically irreconcilable. CM: What are your plans for the future? What are you campaigning for now? DR: I’m campaigning for reelection to the State Assembly.… The transitional jobs program is an effective way to reduce poverty and to reduce employment in the state of Wisconsin and it can serve as a national model. If I can get that done in the state legislature, that’s where I’ll be and if I need to find some other form of employment to push for this and other ideas that will help to reduce poverty, then that’s what I’ll do. CM: Do you have any advice for UChicago students who are looking to get into politics or public office? DR: I would say they should do it; they should run for office. They could move back to their hometown and run; they could run in Hyde Park, or somewhere in Chicago, because they’ll have a Chicago connection at the end of four years. Age 23, 24, 25 is good; 26 is a good time to do it. They should feel free to reach out to me; I mean, it’s not rocket science. I tell people, if you ever sold Girl Scout cookies, you’re pretty well trained to be a candidate for local office. But I would really encourage people to do it, to throw their hat over the wall. It’s a risk worth taking and it is one that they have trained themselves to do. They’ve suffered away at the Reg working hard; they’ve got the discipline to suffer. All University of Chicago students have that ability. But [they] also [have] been part of a discussion about what government should do, what government shouldn’t do as a way to create a freer, fairer, more just, more prosperous society. Whatever they majored in, whatever they studied, the learning will be adequate, excellent actually, to allow them to be a part of that discussion. If they don’t end up doing it, someone else will; these positions have to be filled, and I feel that they ought to be filled with people who are thoughtful, who have taken the time and effort to think carefully about what government should and shouldn’t do. Just do it, just run.